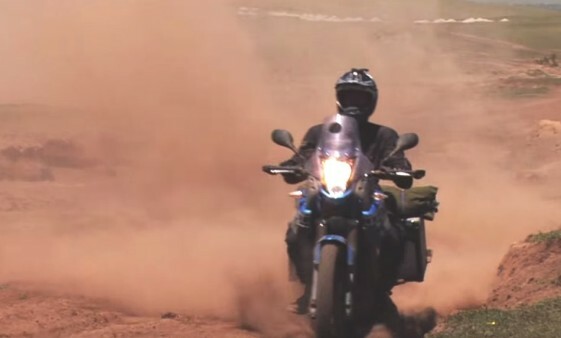  'African Motorcycle Diaries' follows solo rider's circumnavigation of Africa. A new TV series follows Adventure Motorcyclist Spencer Conway as he circumnavigates Africa riding through 34 countries, covering a staggering 34,000 miles (55,000 km) solo and unsupported, on a Yamaha XT660Z Ténéré. The first leg of his ambitious journey starts in the UK. Spencer crosses France and catches a ferry to North Africa. From Tunisia, he rides down the east coast through Africa’s deserts, jungles and savannahs, all the way to Cape Town, South Africa. His second leg takes him north up the west coast of Africa, through some of the most notoriously unstable and challenging countries in the world. He returns home to the UK after a total of 283 days on the road. Throughout his journey, Spencer travels on a limited budget. He sleeps rough in his tent or in cockroach infested accommodations, eats street food or whatever is available, and fends for himself negotiating border crossings and local bureaucracy. He endures virtually impassable mud roads in the Congo, blinding sand storms in the deserts of Mauritania and navigates huge potholes in Guinea. He crashes numerous times, has all his possessions stolen in Angola and survives a near fatal shooting in Kenya. Spencer also experiences the majestic beauty, contrasting landscapes, diverse cultures and the welcoming people of this vast continent. This gritty, raw and real travel series filmed predominately on Spencer’s diary camera, captures his personal and candid footage revealing the fears, tears, elations and determination of an extreme traveler. 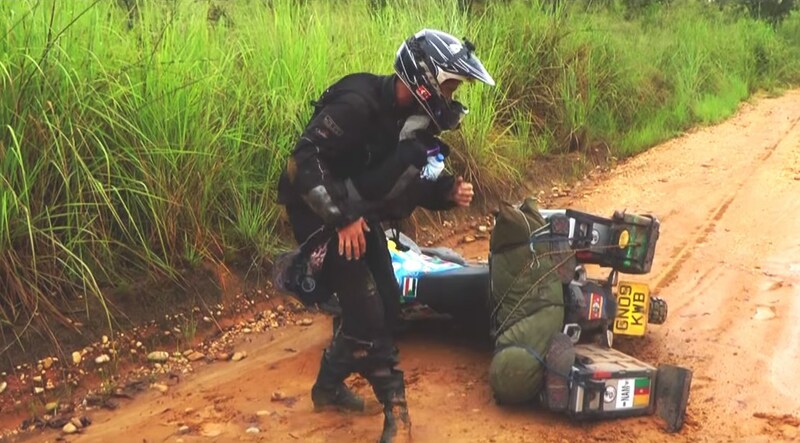 The “African Motorcycle Diaries” series premiers on the Travel Channel in the UK on November 8th, 2015 at 7pm. In Europe, Middle East and Africa the series will air on November 9th, 2015 at 9pm. The series will also be available on DVD soon from Duke Video. No official word yet on whether the series will air in the US but negotiations are in the works. Spencer carried out this epic journey with no support team, entirely solo and its great to know that we will soon be able to see the videos on the Travel Channel. Well done, Spencer. My guess: he had at least 2 camera men following him on…. bikes? (I hope so!) but most likely on a 4-wheeled vehicle. Just a guess. This sounds like a goodie, can’t wait to see it! Would love to see this in the US.